The new phase that began at that time was accompanied by a change at the top. On 16 July 1979, President Ahmed Hassan al-Bakr was ousted by his cousin Saddam Hussein. Under his leadership, Iraq had, since 1968, been transformed into a police state, and Saddam Hussein had become the most powerful man in the regime. During the 1970s he saw to it that all key military and political positions were awarded to his close relatives – three half-brothers, several cousins, and a brother-in-law; his sons Uday and Qusay followed later. Tried and true friends from the party also received prominent positions. Their ethnic-religious background was more varied: not being a Sunni Arab was apparently no obstacle to being close to the centre of power; loyalty to the president was the all-important factor. Beginning in the late 1970s it is thus more consistent with the actual relationships of power to speak of the regime of Saddam Hussein than the Baath regime. 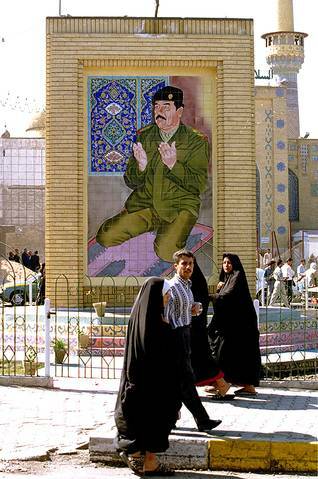 With its enhanced economic and political position at the end of the 1970s, based on extensive oil revenues and a monopoly on political power inside the country, it appeared that the conditions were ripe for an Iraq under Saddam Hussein to assume a dominant position in the region. It was vital to keep the Kurdish and Shiite Arab opponents under control; during the internal conflicts, neighbouring countries had given support to Iraqi Kurdish guerrilla movements, and in the Islamic Republic of Iran the co-religionists of the Iraqi Shiites were now in power and were working to export their Islamic revolution. The regime also hoped to compensate for several of Iraq’s vulnerabilities – such as its landlocked situation and its great dependence on a continued supply of water from Turkey and Syria – by taking advantage of this position of strength. Militarily, this power politics rested on a massive army and a large arsenal of weapons, which included non-conventional weapons, such as the chemical weapons with which the Kurds were later threatened and then attacked. Iraq also began to develop biological and nuclear weapons. In exchange for oil dollars, the governments of both the Eastern Bloc and the West and businesses happily contributed to this military build-up.